If you have a credit score of 750 or higher, you are in the minority of consumers who typically qualify for high-limit credit cards. Because of this evidence of solid credit and financial history, credit card companies are more willing to offer high limits and increased benefits to get you to use their credit cards and other financial services. Prior to the financial crisis of 2008, it was not uncommon for people to have credit cards with limits of up to $50,000. Credit card companies have since slashed limits, and now a high-limit card is one with limits of $5,000 or more. Learning more about credit limits can help you determine whether a high-limit credit card is right for you. Having credit cards with high limits can help or hurt your credit score, depending on how you utilize them. A high credit limit means that you are a trustworthy borrower, and this can help increase your credit score. Creditors look at your credit utilization ratio on individual accounts and as a whole. If you have a high credit limit but use only a small amount of your credit, this can raise your credit score. Because credit utilization accounts for up to 30 percent of your credit score, having a high limit and a high utilization rate can have a negative impact on your score. Every credit card company has different criteria for determining whether someone is eligible for a credit-limit increase. Often, credit card companies, in making a decision, ask for updated personal information regarding your salary. Other factors include making payments to all of your creditors on time and frequently making larger payments to reduce your balance rather than just making the minimum payment every month. Some people with a stellar credit history and a solid income can get a credit card with a high limit almost immediately after applying. Others might qualify for a lower limit and have to work their way up to a higher limit. Depending on the credit card company, some consumers qualify for automatic limit increases. Customers of companies that don?t give automatic credit increases must request a credit-limit increase. However, consumers should be aware that while automatic increases do not affect credit scores, requesting an increase can result in a hard inquiry on your credit report and affect your credit score, regardless of whether you?re approved for a bigger credit limit. 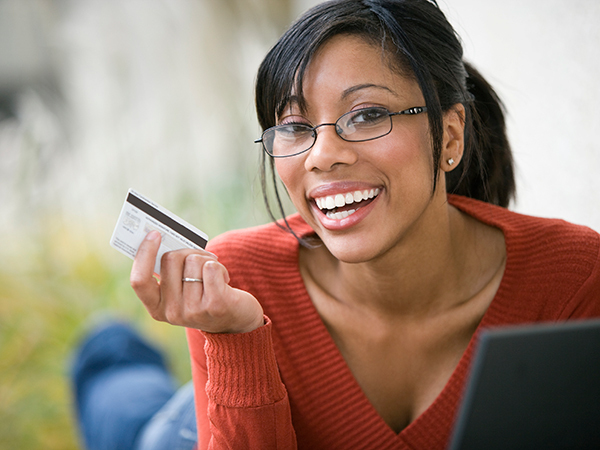 Having a high-limit credit card can reduce your debt-to-credit ratio, provided that you keep balances low. Keeping that ratio low can make it easier for you to access loans and additional credit in the future because it helps build up your credit history. A high-limit credit card also gives you a bit of security in knowing that you have access to funds in case of an emergency. Having a high-limit credit card comes with a number of benefits. But in order to get one, you have to work at building your credit and raising your credit score. And while high-limit credit cards are not as common as they once were, it is still possible to obtain one.